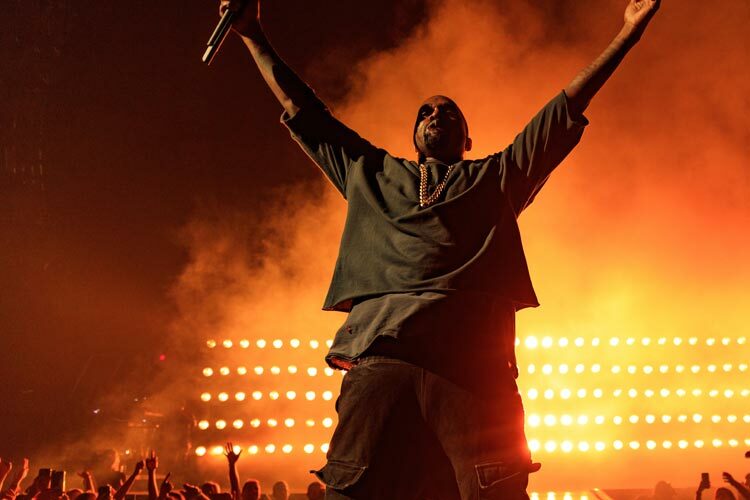 A Look at Kanye's Vegas Show, Will He Add Any More Dates To His Tour? Home News Events/Concerts A Look at Kanye’s Vegas Show, Will He Add Any More Dates To His Tour? Kanye West’s Saint Pablo tour has become one of the most iconic modern music spectacles in history. The show features a brightly lit stage hanging a dozen feet above the audience, looking like a UFO that’s swooped down to abduct the audience, and an atmosphere that is sending shivers down everyone’s spine. Critics have been blown away by the performance and the ‘Saint Pablo’ show reviews have been outstanding, the Guardian being only one of the many publications that gave it a five star rating. The minimalist design of the show’s set means that the crowd’s attention is always where it should be: on the incredible theatrics, atmosphere, music, and Kanye’s dynamic performance. Instead of the audience clawing to get to the stage, the stage will come to them. The set list features all of our favorites like “N-ggas in Paris” as well as a few alternative renditions of some of his other more versatile tracks, like “Wolves.” Rolling Stone magazine described it as redefining what we thought was possible and praised the incredible production for giving the audience everything they could want from a show. On October 29th, Kanye will be putting on the last show of his tour at the T-Mobile arena in Las Vegas and everyone is looking forward to it. Critics are in awe of the show’s incredible atmosphere. There’s no pyrotechnics, thundering band or backup dancers: just Kanye, surprisingly humble in his performance and appearance but Godly in his showmanship. Your heart will be pumping harder than it ever has before when those lights go on and that stage glides over you. The sensation is somewhere between putting your last dollar on a hand in poker and being in the front seat of the bus in Speed; maybe something similar to Ladbroke’s game Speed Poker, except you’re gambling with your life. This is a show that no Kanye West fan is allowed to miss and what’s great to know is that all of you that didn’t manage to snag a ticket might still have a chance. Although this was meant to be his last show, there is still hope for anyone else yet to see it. Following the tragic event in Paris regarding Kanye’s wife Kim being robbed at gunpoint in her hotel room, Kanye has rescheduled some of the dates of his upcoming shows as well as announced that he will be giving a second leg to his ‘Saint Pablo’ tour. To everyone’s delight, instead of ending the party in October, he’ll be extending it all the way to New Year, ending 2016 with one heck of a bang at Brooklyn’s Barclays Center. From November 17th, he’ll be making his way from the San Jose SAP Center, across the East coast, all the way to Brooklyn, stopping in Dallas on the 26th and Louisville on the 20th of December for anybody in Memphis that’s desperate to see the show. The Saint Pablo experience is definitely worth the five hour drive. Tickets are already on sale and flying off the market, so get them while you can and don’t miss the opportunity to experience the show of a lifetime.